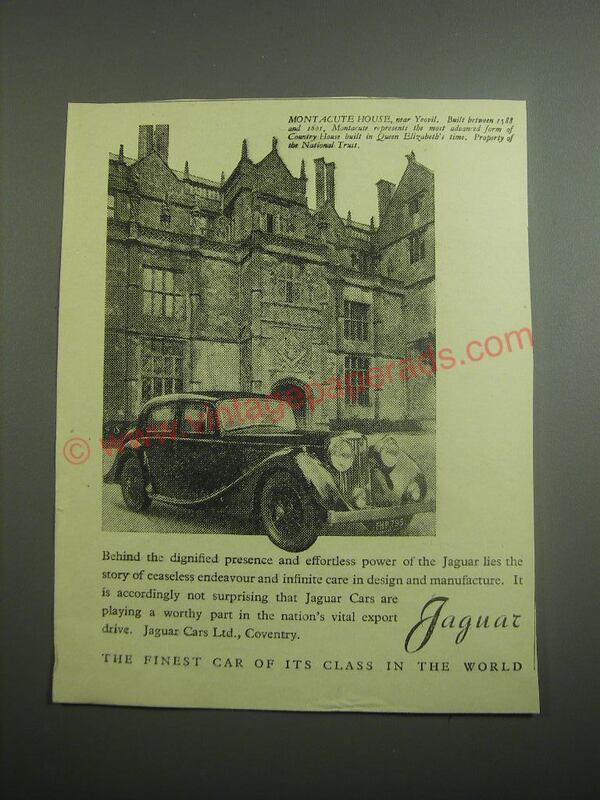 This is a 1948 ad for a Jaguar Cars! The size of the ad is approximately 4x5.5inches. The caption for this ad is 'Montacute House' The ad is in great condition. This vintage ad would look great framed and displayed! Add it to your collection today! 1986 Jaguar XJ6 Car Ad - The Best Jaguar Ever Built! 1999 Jaguar XK8 Ad - There's A Certain Air About You!